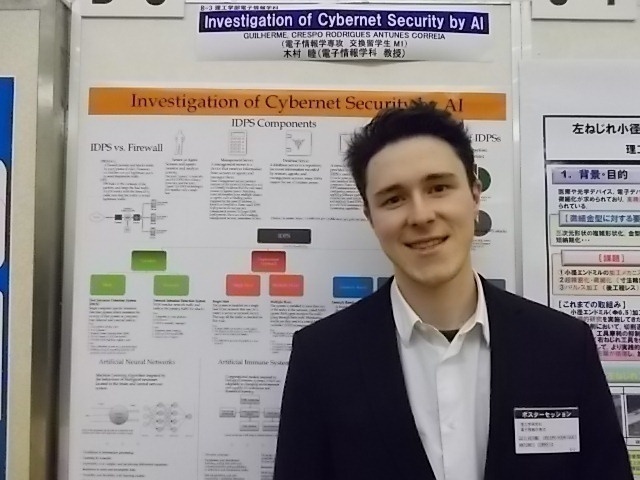 GUILHERME, CRESPO RODRIGUES ANTUNES CORREIA, an exchange student at Mutsumi Kimura laboratory in the Department of Electronics and Informatics, gave a poster presentation titled "Investigation of Cybernet Security by AI" at the New Year Technological Lecture Meeting. Despite studying in Japan only for one semester, this student spent a fulfilling research life, and it was a great job to give the lecture. Although it was done in English, active question and answer was done. 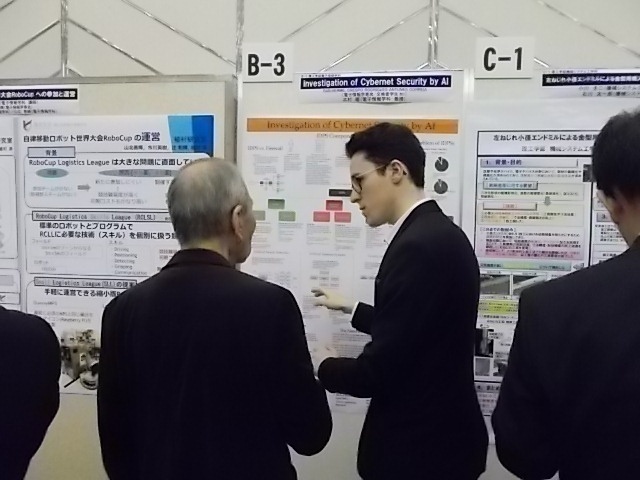 It is an example of excellent activity of research results of exchange students. Copyright © RYUKOKU UNIVERSITY. All Rights Reserved.